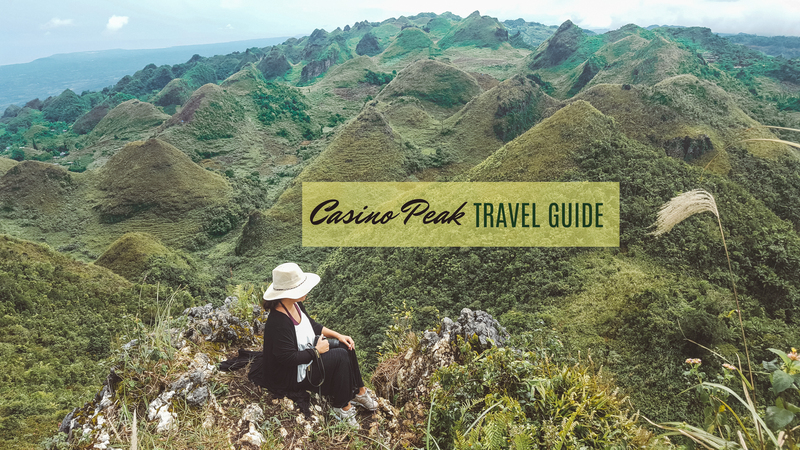 CASINO PEAK is one of the newest tourist destinations in South Cebu, attracting mountaineers, day trippers, budget travelers and local tourists. When my friend (Thanks, Darwin!) 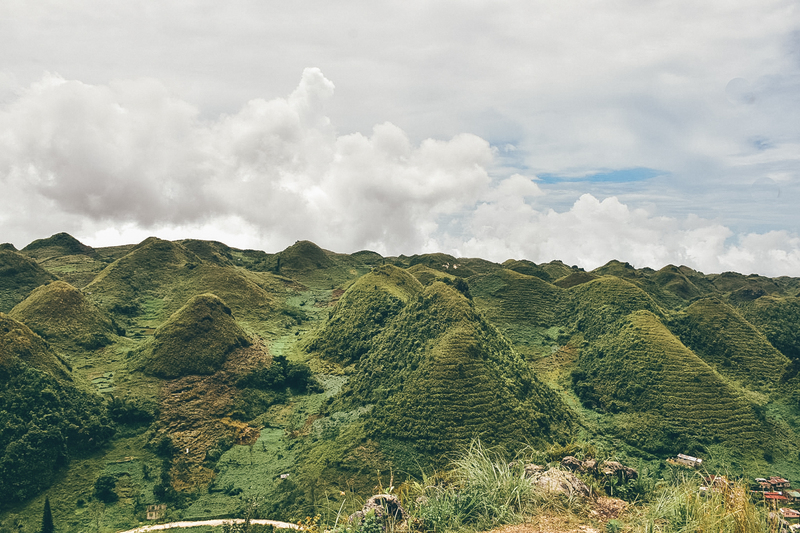 mentioned about Casino Peak and showed me the photos of the green hills reminiscent of Osmena Peak in Dalaguete and Chocolate Hills in Bohol, I was mesmerized.trip to South Cebu. 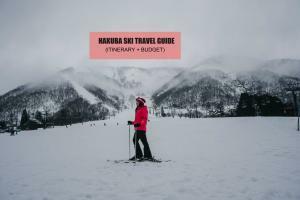 I blogged this Casino Peak Travel Guide with budget and itinerary to help you plan”your trip. 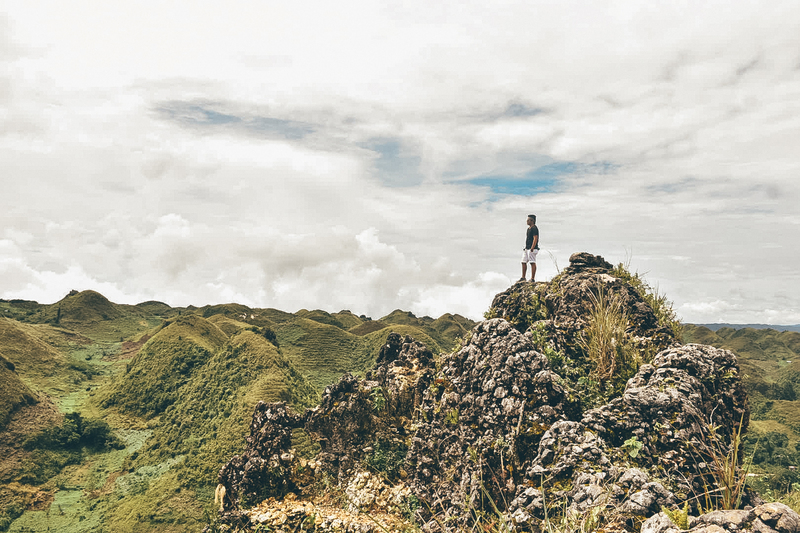 Casino Peak is about 1 hour hike from Osmena Peak, hiring a guide is recommended. But because we’ve already been to Osmena Peak, we decided to travel to Casino Peak by car. For those who want to commute to Casino Peak, the best way and the cheapest way to get there is by motorbike (habal-habal). I asked some habal-habal (motorbike) drivers and locals about the rate, but since the destination is sort of “new” they don’t have standard rates yet. Will discuss that below. 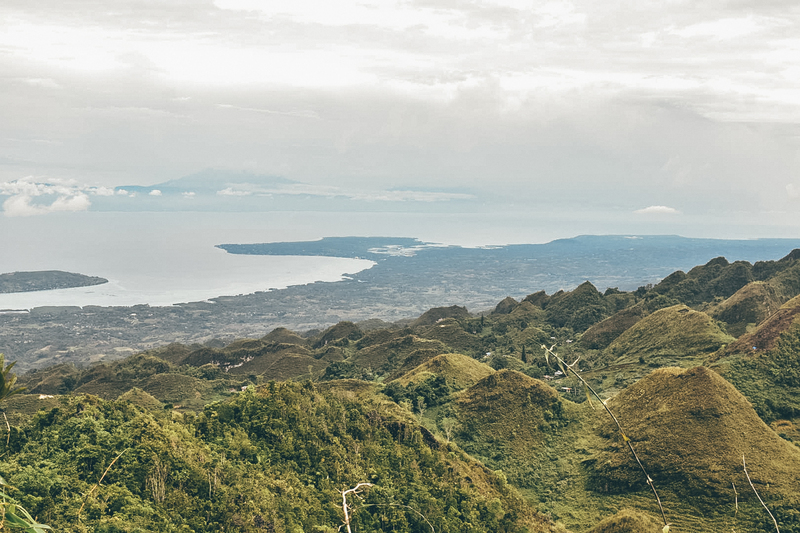 Both Casino Peak and Osmena Peak are located in Dalaguete, Cebu. Another peak that is worth checking is Kandungaw Peak, where you can also access Lover’s Peak and Sunset Peak, but the hike going there is more tedious. Casino Peak just like its neighbor, because it is a highland with fertile soil, it is a perfect place to plant vegetables and crops like lettuce, cabbage, onions, beans and tomatoes. 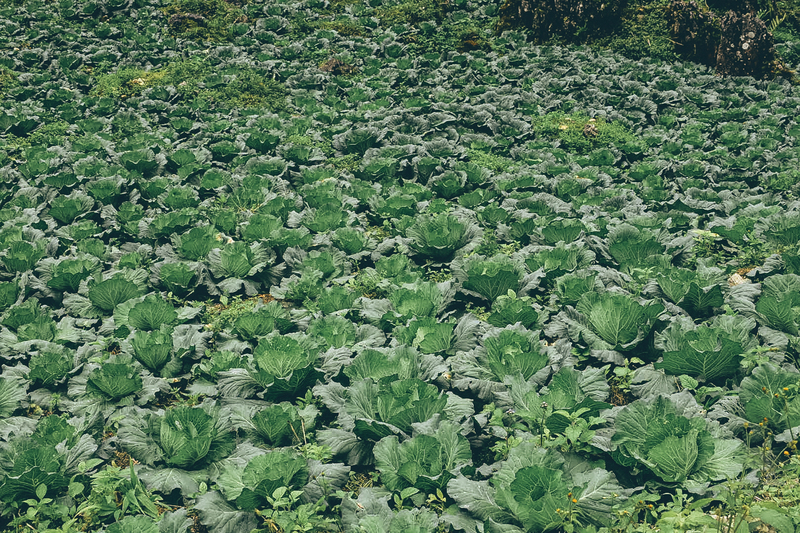 Most residents here thrive on farming, so please stick to the trail and avoid stepping on the plants. STEP 1:.To get to Casino Peak from Cebu, you can ride the direct bus to Mantalongon in Dalaguete at Carbon Market. Transit time is roughly 2.5 hours and bus fare is approximately PHP 120/US 2.34 (EURO 2/SGD 3/MYR 10). STEP 2: Alight at Mantalongon Public Market. Don’t worry, you’ll know you are there as it’s actually the last stop. Charter a habal-habal to take you to Sitio Lugsangan where Casino Peak is located. Fare is about PHP 50 /USD 0.98 (EURO 0.82 /SGD 1.32/MYR 4) per person per ride. But some motorcycles may charge you PHP 70/USD 1.37 (EURO 1.14/SGD 2/MYR 6) per person per ride. Travel time is around 15-20 minutes. STEP 3: Register at the trailhead (the house of the Brgy. Captain serves as the registration area). They have a spartan toilet clad with plants if you need to pee or change your outfit. Please hire guide for your own safety. There is no entrance fee to Casino Peak as of now, so if you hire a local guide, it’s a way of helping the locals there. Give back to the community. It’s an easy climb but wear proper hiking outfit and hiking shoes. The trail is rocky and slippery, so be please be careful. STEP 1: Ride the bus en route to Bato via Oslob and get off at Dalaguete Proper near 7/11. Travel time is approximately 2 hours and fare is roughly PHP 120 /US 2.34 (EURO 2/MYR 10/SGD 3). STEP 2: Habal-habal (motorbike) drivers will approach you as soon as you alight the bus. The standard charge is around PHP 150/USD 3 (EURO 2.45/MYR 13/SGD 4) per person or PHP 300 per habal-habal direct to Casino Peak trail head. But if you want to save a few bucks, walk towards the end of 7/11 road where Mantalongon-bound motorbikes are parked. Fare is PHP 50/USD 0.98 (EURO 0.82/MYR 4/SGD 1.32) per person or PHP 100/USD 2 (EURO 2/MYR 8/SGD 3) per motorbike. You will alight at Mantalongon Public Market where you can switch to another habal-habal bound for Sitio Lugsangan (Casino Peak). You can find the habal-habal parked at the end of the road going to Osmena Peak. Fare is PHP 50/USD 0.98 (EURO 0.82/MYR 4/SGD 1.32) per person or PHP 100/USD 2 (EURO 2/MYR 8/SGD 3) per motorbike. But some drivers will reason it is far so they might charge you. The ride will only take about 20-25 minutes. STEP 3: At the registration area, write your name. STEP 4: A local guide will be assigned to you. No standard rate yet. But me thinks PHP 300/US 6 (EURO 5/MYR 25/SGD 2) is already a good rate. One guide for about 5 – 6 hikers. STEP 1: Follow Step 1 in Option 1 or Option 2 above. STEP 2: Follow Step 2 in Option 1 or Option 2 above. 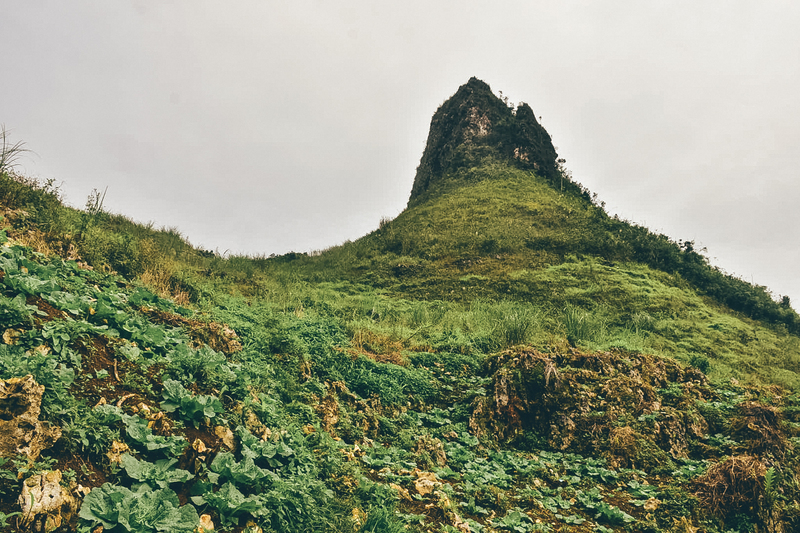 STEP 3: Once you are done hiking Osmeña Peak, you can ask your local guide to take you to Casino Peak in Sitio Lugsangan in Barangay Tabon, Dalaguete. Hike will take about 1 hour. Alternatively, you can also take the habal-habal to Casino Peak from Osmeña Peak trailhead. Habal-habal (motorcycle) drivers are just waiting for tourists there. Fare is roughly PHP 50 /USD 0.98 (EURO 0.82 /SGD 1.32/MYR 4) per person per ride. But some motorcycles may charge you PHP 70/USD 1.37 (EURO 1.14/SGD 2/MYR 6) per person per ride. Travel time is around 15-20 minutes. Here’s a sample Casino Peak itinerary if you are coming from Cebu. 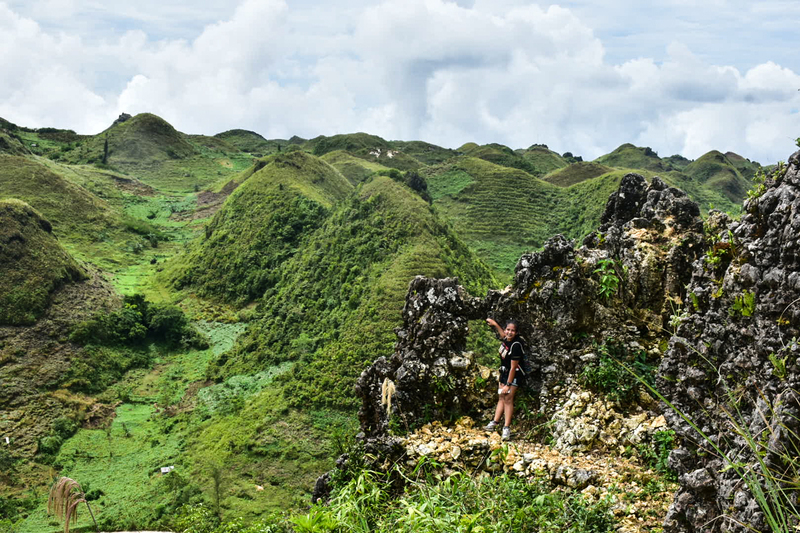 Casino Peak can be done as a day trip and as a side trip from Osmeña Peak. If you are doing Oslob, you can go to Casino Peak or Osmeña Peak after. And you can also go to Kawasan Falls after Casino Peak. Just start early. 09:15 AM ETA Casino Peak base/trailhead. Register and hire a guide. 10:00 AM ETA Casino Peak. Photo op. 11:00 AM Start descent. Pay guide fee. 12:45 PM Ride Ceres bus back to Cebu City or head to next destination. 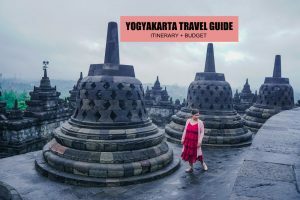 This budget is good for a solo traveler. You can bring this down if you ride the habal-habal to Mantalongon and then switch to another habal-habal to Casino Peak. PHP 600 /USD 12 (EURO 10/SGD 16/MYR 50) Roundtrip habal-habal to Casino Peak from Dalaguete Proper. The sample Casino Peak budget below is if you use the cheapest route. Option 1 above. That is supposing you ride the bus direct to Mantalongon, Dalaguete. The sample Casino peak expenses below is if you miss the bus direct to Mantalongon and you will get off instead at Dalaguete Town Proper. This is supposing you will switch motorcycle in Mantalongon Market. Estimated budget to Casino Peak if you are a party of two. Budget is per person. It’s definitely cheaper, so tag your friends along when traveling to Casino Peak. PHP 300/US 6 (EURO 5/MYR 25/SGD 2) Roundtrip habal-habal to Casino Peak from Dalaguete Proper. * When we visited, I didn’t notice any habal-habal (motorcycles) stationed at Casino Peak’s base but I saw some motorbikes passing by. You can hail one or ask the haba-habal driver you hired to fetch you. You can text the driver or if the driver has no cellphone, you can give an estimated time for pick up. * Wear proper hiking shoes and outfit. Be careful as the trail to Casino Peak is rocky and slippery..
* Greet the locals and let them pass first especially if you see them carrying heavy loads like basket full of cabbages.You can bring your car up to the trailhead to Casino Peak. * Hire a local guide. * Do not leave your trash anywhere. * Stick to the trailhead and avoid stepping on the vegetables and crops. * No Camping site at the peak because it is surrounded by farms. * Leave no trace. Do not pick plants. * Bring umbrella, sunblock, hat and arm guards to protect yourself from the sun. * Bring water to keep you hydrated as there is no store yet in the area. 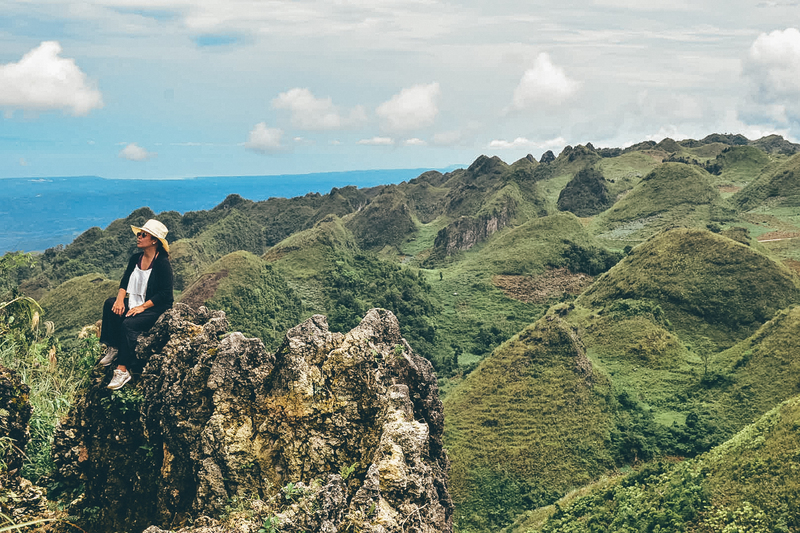 * You can do Osmena Peak and Casino Peak in 1 day or half day. Depending on your pace. * You can also go to Kawasan Falls after Casino Peak, just hire a habal-habal (motorcycle). Rate is roughly PHP 500/USD 10 (EURO 8/MYR 42/SGD 13) per person. While most popular attractions can be found in downtown Cebu, tourists prefer to stay in the uptown area around Fuente Osmena. Here’s a list of Cebu hotels for you to choose from. Thank God, I found this blog post. Planning of visiting Casino Peak this weekend.